Posted on September 11, 2015	by Janelle P.
There are countless types of hair extensions, wigs, and add-on hair pieces available for those struggling with hair loss or thinning hair. However, some people aren’t quite comfortable with these options for many reasons including the financial investment, worry over how it will look, or because they just need minor help to increase their self confidence. If you find yourself in this situation, here are some products that may be of interest to you if you want to thicken your hair or just want to improve your overall appearance. Thickening shampoos and conditioners – Various hair treatments weigh the hair down causing it to look thin and lifeless. 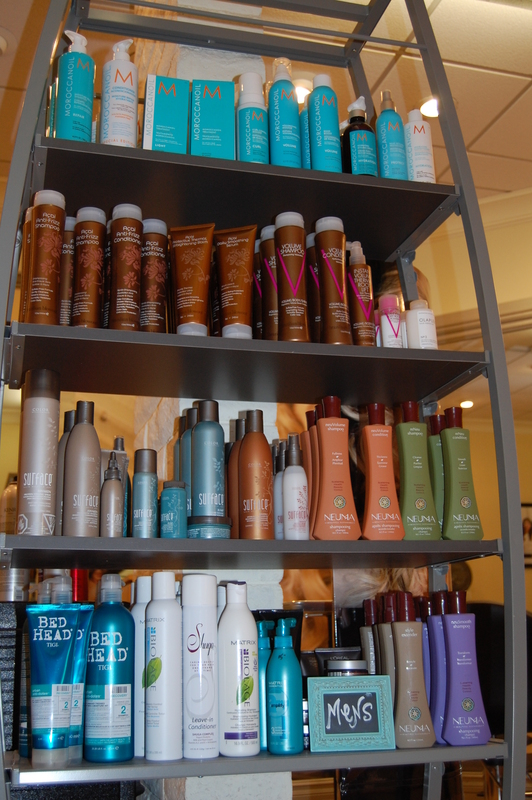 Thickening products tend to have protein added to their formulas to strengthen hair and add volume. This is a relatively inexpensive option and can be the easiest and first solution to your thinning hair problems. Vitamins/Diet – Since hair grows out of your scalp, it’s important to think from the inside out. What does your diet look like and are you getting the proper nutrients your body needs? For example, consider dining on salmon. It has a good dose of protein, vitamin D, and omega-3 fatty acids which are all needed for strong, healthy, hydrated hair. Eggs are also great to keep in mind in that they are a viable source of iron which helps to transport oxygen to your hair follicles keeping them healthy. Keratin Fibers – We’ve all seen those ads from many years ago with the spray on hair in a can. This is NOT like those products of old. While those were more spray paint than hair product, these new versions are surprisingly natural and easy to use. 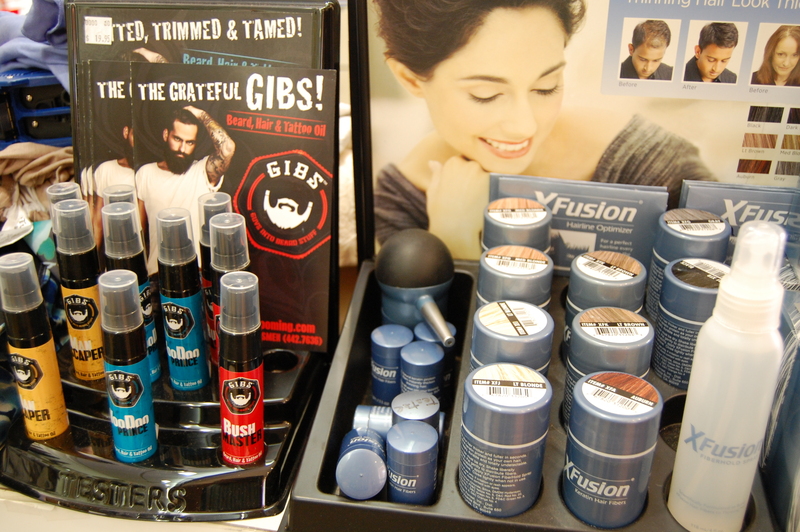 XFusion is one of the top products using this technology where clients can apply Keratin fibers to existing hair and, in seconds, fill in all thinning or balding areas. XFusion fibers won’t come off in wind, rain or with perspiration and XFusion provides a variety of tools to ensure that the look is natural and virtually undetectable. Styling Tools – Excessive heat can damage hair and cause breakage, so try to avoid extremely hot hair dryers, wands, curling irons, or flat irons. Also consider what combs and brushes you are using. Tugging on your hair will cause further breakage and your hair will look thinner. Use a comb where the teeth are farther apart or a boar bristle brush which is gentler on your strands. False Eyelashes – I know, this may not seem to come into play with this topic, but a majority of people who have thinning hair also struggle with fine, sparse eyelashes. False eyelashes have become tremendously popular over the past few years and the options available have surpassed the ones from the 1960’s that were reminiscent of Cher or Twiggy. 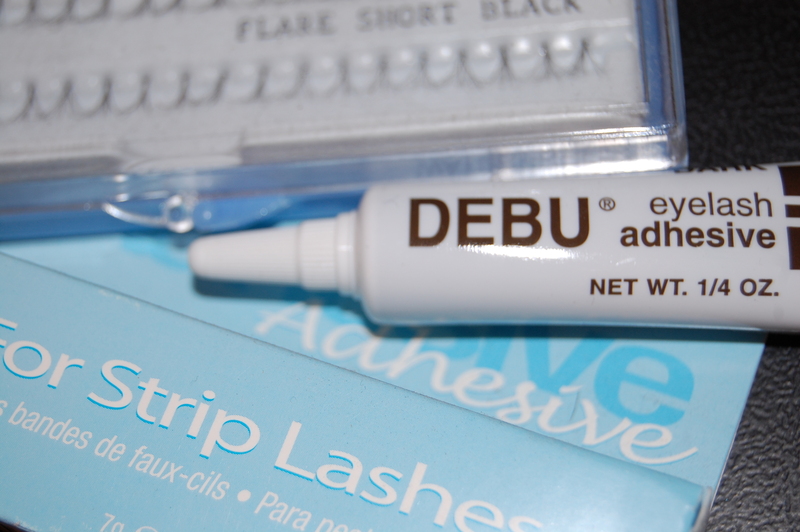 Now lashes come in a variety of lengths, thicknesses, and many come in small sections for easy application and a natural look. There are many causes for thinning hair, but there are also just as many potential solutions. At Wig Works and Extensions for Hair Salon, we have thousands of wigs and hair pieces in stock but we additionally carry all of the above mentioned hair care products. If you have questions or are struggling to decide what steps you should take to resolve your hair care issues, our professionals would love to help you on your journey. We are committed to making you feel confident and beautiful with one of our many quality options.